This was one of the books that I bought while I was still working on seminary and thought I wouldn't get to until I finished. Once this book arrived at our home Charity picked it up and started reading it; her enthusiasm for the book sparked my interest to begin reading it while writing my final paper (it was better than what I HAD to read). There are books you read because you have to and books you read because they speak to your soul; this book spoke to my soul in a much needed way. If you read my blog last week you will see how important this book was to me; it honestly came a critical time in my life. I started this book before I graduated seminary but finished it on the plane ride to Hawaii. 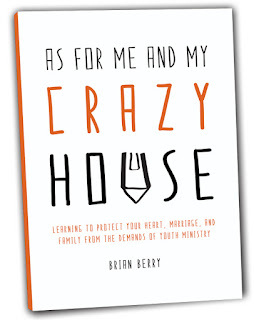 It was cool reading it on the plane and reading how Brian affirms the need for family vacation (page 135) it made me feel like I was doing something right in the chaos of my own life. I am pretty sure that the cover talks mentions youth ministry but I am going to just say that this book is a must read for anyone in ministry. 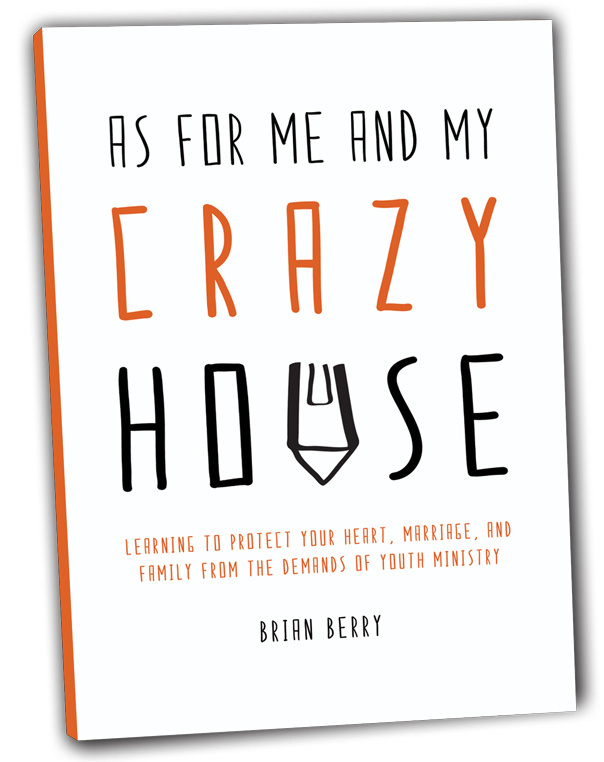 I am committed to getting this book into the hands of as many people as I possibly can because I believe that what Brian is talking about here can help our communities find and follow Christ. I really believe that the world is sick of they way they are living and they are looking for men and women to model something new to them. Its going to take time to implement these aspects into my life but I am committed to making that happen for the health of my family. thanks for the review and the shout out friend! Stoked that God used this book to encourage you and Charity. Love you both and praying for you in this next season of life and ministry. you rock!